Intel ISEF 2018 – Results! We have just returned from Pittsburgh with the team having achieved outstanding success at Intel ISEF 2018. Jade Moxey and Macinley Butson from Bega and Illawarra respectively, won Special Awards from the Qatar Foundation and a scholarship worth USD $20,000 from the King Abdul-Aziz and His Companions Foundation for Giftedness and Creativity. They also won a 3rd place Grand Award in the Environmental Engineering category. Oliver Nicholls from Barker College won two 2nd prize Special Awards sponsored by IEEE & NASA and an Honourable Mention from INCOSE. He then went on to win a 1st place Grand Award in the Robotics and Intelligent Machines category. His project was also judged Best of Category. This is something that no other Australian student has ever achieved in our 20 years of representation at ISEF. As a grand finale to an incredible week, Oliver was then awarded the Gordon E. Moore Award – the USD $75,000 top award at ISEF! The Gordon E. Moore Award recognises the Best of the Best among the outstanding students from around the world who participate in the Intel ISEF. The winning project is selected on the basis of outstanding and innovative research, as well as on the potential impact of the work — in the field and on the world at large. 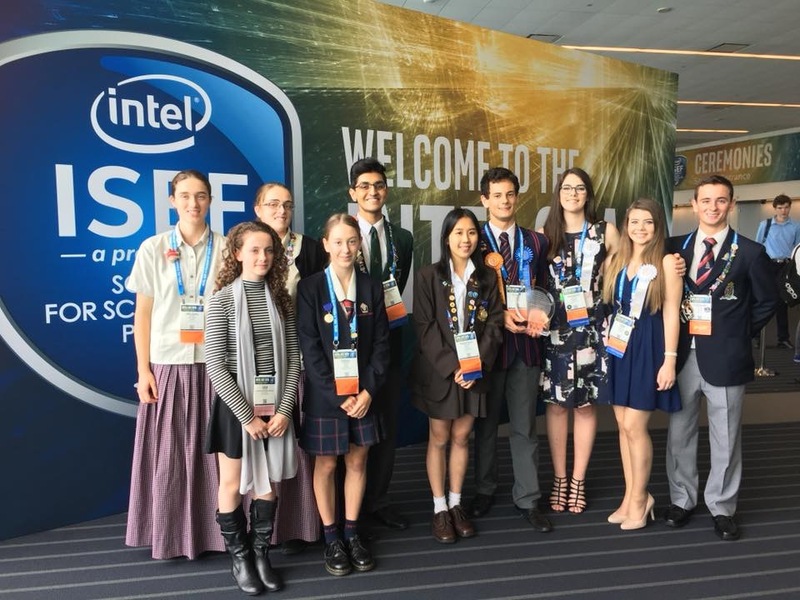 Australia fielded two teams at Intel ISEF. Oliver, Jade and Macinley were members of the STANSW Young Scientist team. Angelina Arora (Sydney Girls High School) and Caitlin Roberts from the national BHP Billiton Foundation Science and Engineering Team also won 4th place and 3rd place Grand Awards in the Environmental Engineering and Biomedical Engineering categories respectively. All of the students were excellent ambassadors for science, NSW and Australia and we could not be prouder of them.